Fourth-seeded Daniil Medvedev advances to the semifinals at the Brisbane International after beating Milos Raonic 6-7 (2), 6-3, 6-4 on Friday. The score was level at 4-4 in the third when Medvedev got the decisive break on a succession of unforced errors from the 2016 Brisbane champion. Fourth-seeded Daniil Medvedev reached the semifinals at the Brisbane International by beating Canada's Milos Raonic 6-7 (2), 6-3, 6-4 on Friday. The score was level at 4-4 in the third when Medvedev got the decisive break on a succession of unforced errors from the 2016 Brisbane champion. The fifth-seeded Raonic, of Thornhill, Ont., couldn't cash in on any of his eight break-point opportunities. 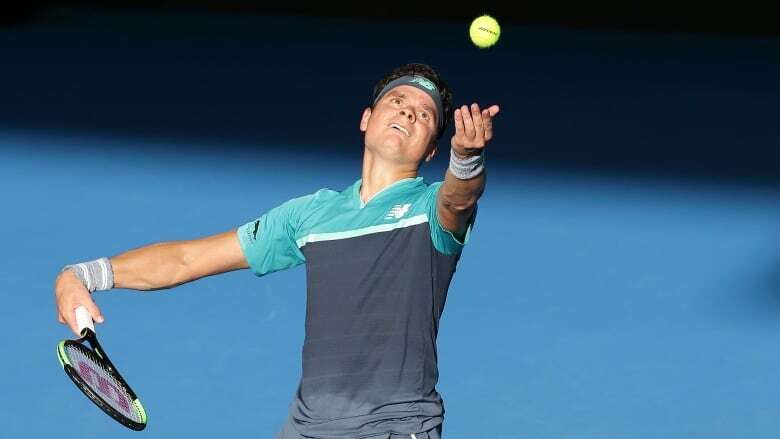 The 22-year-old Russian will next play 2008 Australian Open finalist Jo-Wilfried Tsonga, who beat Alex de Minaur 6-4, 7-6 (2). The 33-year-old Tsonga, coming off eight months on the sidelines with a knee injury, held his nerve despite a partisan crowd at Pat Rafter Arena. Second-seeded Kei Nishikori and Jeremy Chardy had earlier progressed to Saturday's semifinals. Donna Vekic defeated 2018 finalist Aliaksandra Sasnovich 6-2, 6-0 to reach the women's semifinals and will next play fifth-seeded Karolina Pliskova, who beat Ajla Tomljanovic 6-1, 1-6, 6-1.